A pottery studio and manufacturing facility of uniquely crafted porcelain lamps formerly located in Tokyo, Japan, & now located at a 150-year-old farmhouse in Chiba Prefecture, Japan. 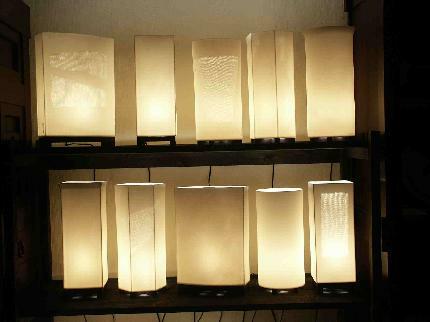 Clayground is offering its unique line of lighting and ceramic products to art and interior design lovers around the world. Gary LaBar has been producing ceramics in Japan for over thirty years and has long admired Japanese design, particularly the traditional wood-&-paper floor lamps called andon. He has created a process for making porcelain lamps that evoke all of the warm feeling of andon yet also incorporate the design possibilities of porcelain. 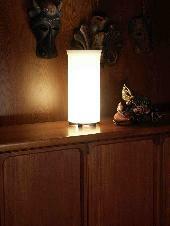 These lamps illuminate with a soft, peaceful light in any setting, whether modern western or traditionally asian style. Please make yourself at home and take a look around!